Student success coach Laura Lee (left) works with College of Education student Stephanie Martinez to maintain PEEPS Pantry. 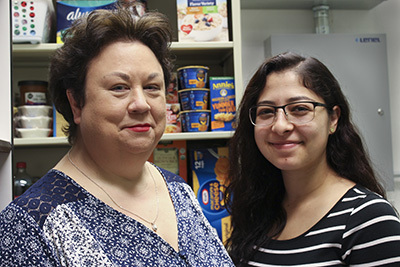 Posted Sept. 20, 2018 – The University of Houston College of Education has opened a free food pantry to help students in need, joining a growing movement nationally to go beyond academic support to boost student success. The pantry is believed to be the first at UH, and organizer Laura Lee said she hopes to open it to students across campus in coming months. Lee, the College’s undergraduate student success coach, said she has seen too many overstressed students – grappling with newfound independence, full class loads and the impending pressure of bills. Tuition. Car payments. Utility bills. Paying for meals can break the bank some weeks. The pantry is part of a larger initiative in the College of Education called the Personal Early Educational Performance Support, or PEEPS, program. It includes mentoring, tutoring and other efforts to help undergraduates thrive. Anyone interested in donating goods, volunteering at PEEPS Pantry or receiving pantry items can email Laura Lee at llee15@Central.UH.EDU. 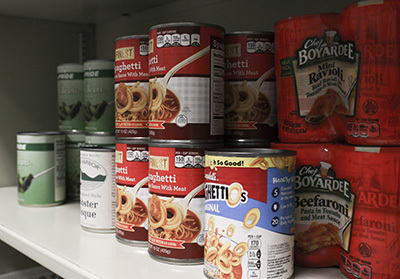 Nationwide, more than a third of college students reported experiencing food insecurity in the last 30 days, according to a 2018 report from Temple University and the Wisconsin Hope Lab. The report, Still Hungry and Homeless in College, defines food insecurity as the “limited or uncertain availability of nutritionally adequate and safe foods, or the ability to acquire such foods in a socially acceptable manner.” The survey also found that more than a third of students reported housing insecurity. Lee did a soft launch of PEEPS Pantry last spring and plans to hold a grand opening later this semester. To keep up with demand, Lee is working with the Houston Food Bank to ensure the pantry stays stocked and, in the near future, to connect students with its food scholarship program. Riverside United Methodist Church, on the southern edge of campus, also plans to open a larger market that will include fresh food and non-perishable goods, according to Lee. She is partnering with the church so students can be referred there if supplies run low or they want different items. “The reality is that food insecurity is a concern for a multitude of campuses that vary in type and populations served,” said Reginald Young, a representative of the Houston Food Bank, which provides scholarships to eight college campuses in the greater Houston area and plans to expand to five more later this school year. 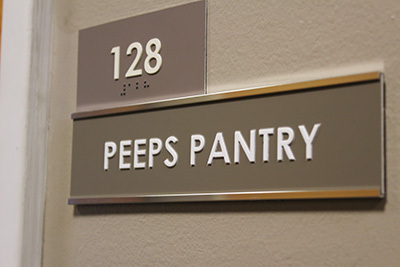 Teresa “Sesa” Edgar, the College of Education’s associate dean of undergraduate studies and a professor of early childhood education, said PEEPS Pantry fills a significant void. Since Lee shared her vision of the pantry, donations have poured in from College of Education faculty and staff and Team Swank, a UH tailgating group that has picked PEEPS Pantry as its charity of year. Lindsey Short, who organized the fundraiser, said she was thrilled the group collected more than 250 pounds of food during the first home football game in September. Even people who could not attend sent items via Amazon, Wal-Mart or mailed their own. Daphne Hernandez, a UH associate professor of nutrition and obesity studies, echoes the reports that food insecurity is a complex, pressing issue. She’s currently researching how providing free food to community college students affects academic performance. Want to help or need assistance? Anyone interested in donating goods, volunteering at PEEPS Pantry or receiving pantry items should email Laura Lee at llee15@Central.UH.EDU or visit her in the College of Education’s Office of Undergraduate Studies in Farish Hall Room 160.